Hiring a highly efficient cleaning service like APT allows you to stop machinery and health and safety issues causing a bottleneck in your factory’s productivity. Maintain uptime and minimalise unexpected shutdowns with our quick, thorough, cost effective factory cleaning services. 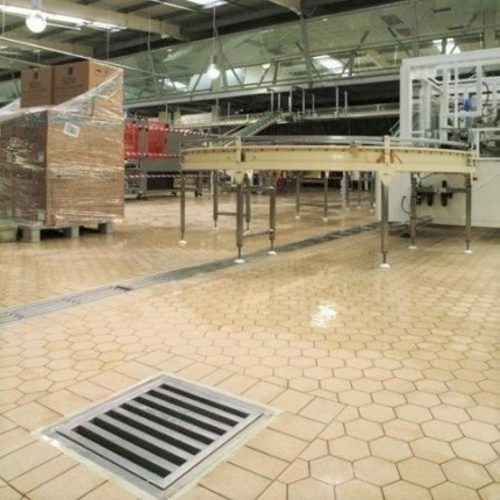 From small industrial units to large high bay, APT can provide the factory cleaning services you require for your interior and exterior cleaning as well cleaning factory equipment. Our range of services cover; cleaning brick, stone, concrete, metal, tarmac and paint, as well removing graffiti; cleaning cladding, roofs and gutters;installing bird netting; renovating facades; removing dust and dirt; repainting and cleaning silos and tanks. We not only clean properties we will completely refurbish it as well. Our production cleaning team are ready to serve you, whether it is a one off job during maintenance shutdowns or breakdowns, or on a regular basis as part of your company’s maintenance and cleaning program. We maintain a good track record on completing our jobs within deadlines, which is a must for shutdowns and production cleaning when the downtime has to be limited. Our management team plans all tasks in accordance to our Method Statements and Risk Assessments. Factories contain many hazards and health risks that require cleaning staff to strictly adhere to safety protocols. APT has more than a quarter of century experience in managing factory cleaning projects. We are the perfect partner for companies searching for cleaning experts. Each facility is different. We ensure we understand your needs and come up with a cleaning plan to cover work surfaces, floors, ceilings, and equipment. The plan will consider the timing requirements so that our workers will not disrupt the operations of the factory and have as little downtime as possible.